With only 24 units in our resort, we like to think of ourselves as more of a community than a complex. By providing all of the amenities that bring families and friends closer together, our resort has an atmosphere that’s welcoming no matter how long you choose to stay. Spend your vacation at Sunset Shores Resort and experience the beautiful sunsets our resort is famous for! People become owners at Sunset Shores because it’s the lifestyle that makes people want to come back year after year. Families have grown up at Sunset Shores, and now those families are bringing their families. And because our owner group has become their own extended family, there is no shortage of familiar faces at the resort each time you visit. Our owners were recently surveyed about their satisfaction with purchasing at Sunset Shores and the results were overwhelmingly positive. Everybody loves the Sunset Shores experience! 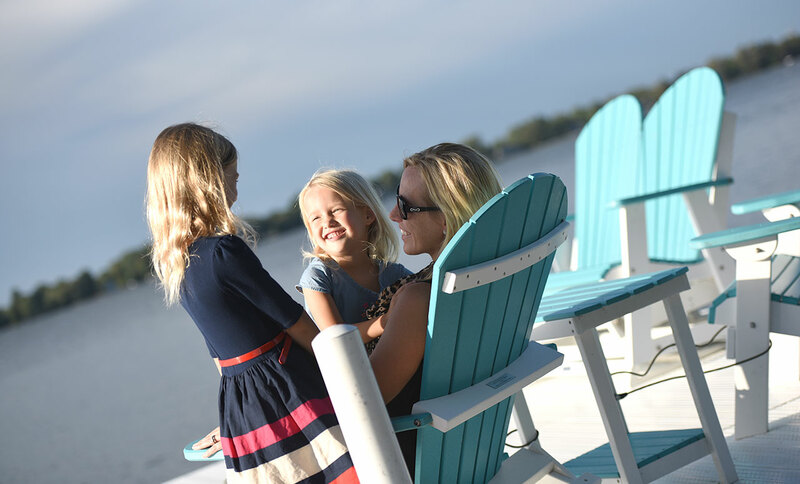 “After several years of looking from Florida to Michigan and all places in between for a timeshare or a family cottage, my wife and I visited Sunset Shore Resort. Within minutes we knew we had finally found our “second home”. The “family atmosphere”, the all-season usefulness, the closeness to home, but most of all, the warm friendly owners and resort staff we met that weekend convinced us to make the purchase. But much to our surprise was one additional benefit we never knew existed; the ability to trade our “use weeks” for weeks at resorts around the world using Interval International. Eleven years later our entire family of children and grandchildren is always counting the days until our next family get-together at Sunset Shores Resort”.